Rachel Van Dyken is our IndieReader.com Author Spotlight for December. Rachel will be mapping her next book that comes out December 18, using the places she’s mapped on Placing Literature to tease her fans as she leads up to launch. What a fantastic idea! Indie authors often don’t have the marketing resources of traditional publishers, so the ability to engage with readers in creative ways grows in importance. Virtual book tours, podcast interviews, countdowns on social media can be passé. Unveiling a new book one place at a time is new. It’s exciting! And readers will love it. 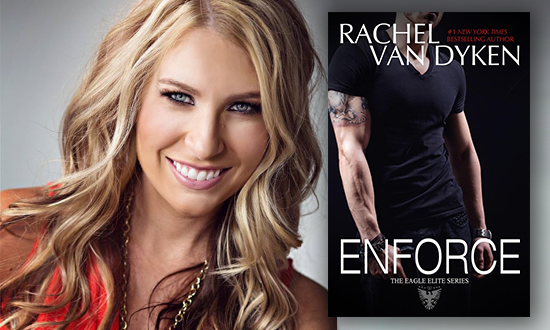 Follow Rachel’s literary road trip as she takes us through Chicago, the setting of her latest novel, Enforce. The book follows the same plot points as a previous novel, Elite, but from the perspective of two different characters. Readers of Elite will think they know the whole story, but they would be wrong. Check out Rachel’s map here. This entry was posted in Uncategorized and tagged literary maps, literature, placemaking, Placing Literature, romance novels on December 5, 2014 by andrewbwilliams. Who says thrillers need to be set in Washington, DC, Moscow, Hong Kong or Istanbul? Don’t exciting and mysterious things happen in small cities around the world? 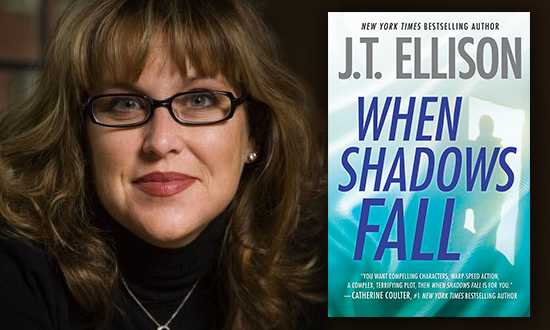 JT Ellison, a New York Times best-selling thriller novelist and our RJ Julia Author Spotlight for December, certainly thinks so. Her 12 critically-acclaimed novels mostly take place in Nashville, Tenn., a far cry from the gritty world capitals that tend to dominate the genre. A former presidential appointee in the White House and U.S. Department of Commerce and government contractor, JT has brought big-city insight to the small town. She has studied forensics and crime and participated in ridealongs with the Metro Nashville Police Department and the FBI to give more realism to her stories. She’s even observed autopsies and has studied survivalists, ensuring that she gets every detail right. Cheers, JT! We’re all looking forward to exploring the dark corners of your hometown of Nashville. Check out JT’s map here. This entry was posted in Uncategorized and tagged literary maps, literature, Placing Literature, thriller novels on December 4, 2014 by andrewbwilliams.